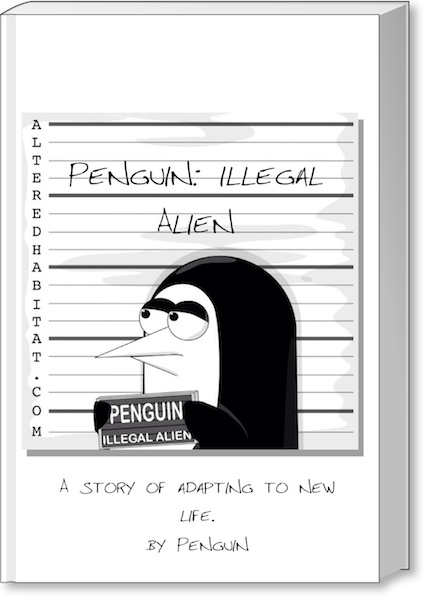 Read Penguin: Illegal Alien, A Story of Adapting to new life and follow Penguin as he stumbles into his new life in the western world. In this book Penguin shares his story along with comics capturing moments as he adapts to his altered habitat. The storyline is completely new content! Bonus comics never before posted on AlteredHabitat.com! Available soon on Kindle, iBooks, Nook, Kobo and other e-book formats!